Chief Minister Sarbananda Sonowal speaking at the inaugural function of the 'Assam Start Up - the Nest' in Guwahati on Sunday. 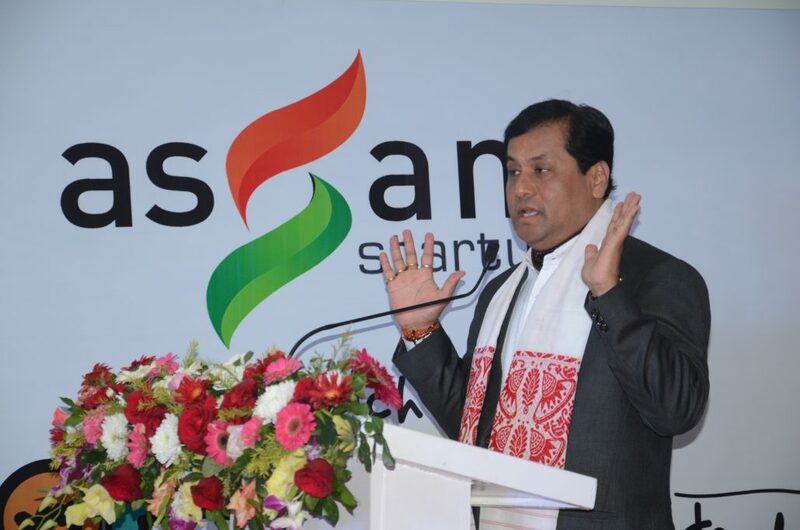 Chief Minister Sarbananda Sonowal on Sunday inaugurated the ‘Assam Start Up – the Nest’ initiative of the Industry & Commerce Departmental at Ambari here. The initiative is a state-owned incubator for the start-up ventures which seeks to augment the business environment by promoting idea generation to start-up companies and help them establish and accelerate their growth and success. He also highlighted the state government’s industry friendly policies like North East Industrial Development Scheme and the Industrial & Investment Policy of Assam which have given momentum to the industrial sector of the state. The incubation centre which is set up by the state government under Assam Start-up Policy 2017 with technical expertise from IIM Calcutta Innovation Park aims to facilitate the growth of at least 1000 new start-ups over the next 5 years. It also seeks to attract funding opportunities to the tune of USD 250 million for state start-ups and incubators while establishing itself as a centre of excellence in the start-up ecosystem. The start-up entrepreneurs will also get the networking opportunities for funding their projects. Dedicated mentorship and capacity enhancement training will be provided in the incubation centre. He also said that Rs 12,000 crore has been invested in Assam out of the total Rs 79,000 crore committed during the Advantage Assam investment summit which saw the signing of some 240 MoUs, and Sonowal stated that this start up incubation centre is one of the results of the summit which would open up newer avenues of growth for the young aspiring entrepreneurs of the state.